Bobby Bones Show Holds Online Auction for Tornado Victims | Broadcast Public Service: Local Stations. Big Impact. Clear Channel Media and Entertainment’s "Bobby Bones Show" raised $135,060 for the American Red Cross tornado relief effort. 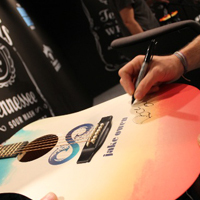 The show held an online auction that sold personal items, concert tickets and signed memorabilia donated by 60 country music stars. Country music labels Broken Bow/Stoney Creek Records, Black River Entertainment and Big Machine Label Group donated $5,000 each.